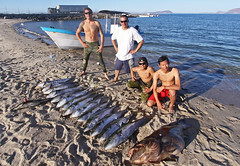 Spearfishing is considered a sport by most enthusiasts these days. With the appearance of many spearfishing product shops and retailers online, people who love this sport can easily purchase their gear and parts without the need to search offline. Probably two of the most popular items among spear fishers are spearfishing floats and speargun rubber. You can get your very own gear and spear fishing equipment and tools by searching online. There’s no need to look for such items offline as there are online sellers you can check out in a few minutes. A speargun rubber is usually required when you use a rail gun or rubber-powered spear guns. The gun is loaded by pulling the rubber/s back and hooking the bridle/s onto small notches on the spear. 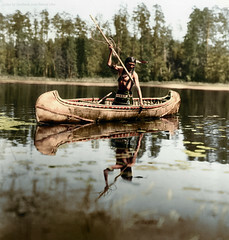 A small catch holds the spear in place and it is dropped when the trigger is pulled. The spear is pushed out by the rubber at a high speed, while the rail makes sure it takes off straight. A line is attached at the end of the spear from the spear gun, so it won’t be lost once it dips into the water and onto the target. Spearfishing floats, on the other hand, are used to keep or hang the fish after it’s been shot and to ensure you won’t lose your spear gun. Spearfishing is said to draw sharks because of the fish and it is important that you hang your catch onto the floats to keep them at a distance away from drivers. Shooting fish with a spear gun allows the line to tread through the fish’s body, so it is important that you also stay in a safe area once the fish are hanged. Another important use and feature of a spearfishing float is to allow you to shoot bigger fish. Keep in mind that even a 10-15 kilo fish (shot and still alive underwater) can pull a diver weighing around 90 kilos. Spear Fishing Products has a wide selection of spearfishing floats and other gear products that are perfect for your next fishing adventures. Most spear fishers let their spear guns go after shooting a huge fish. You need to do this especially when the float is attached to the spear gun. (You can visit Spear Fishing Products for speargun rubber and other tools.) You just have to let the float line thread through your hands and fingers while the fish is still alive and swimming away. Let your gun and float tow away. 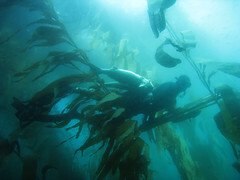 Divers can just follow or hold onto the float line while in a boat. Once the fish slows down, you can pull the float line together with the batch of fish attached. Another option is use a reel that’s similar to a fishing reel. You can attach this reel to your spear gun. Once the fish is shot, you can let it swim away or ‘run’ and then just wind back the reel line when the fish slows down. It is a must to always have a complete spearfishing gear when you set out in the water. It is always important to look out for sharks especially when collecting your catch of the day. You can rely on spearfishing floats to let your catch hang for a while and to protect your diver friends’ and yourself from possible injuries. Lincoln Davis knows all about spearfishing and gears. 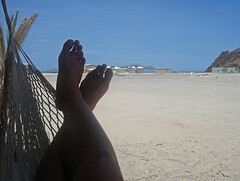 He’s now blogging for a spearfishing products company and would like to share his ideas about this industry. 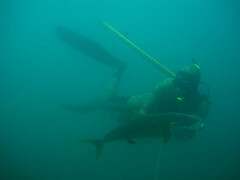 Know more about spearfishing here at http://www.spearfishingproducts.com.au/. When entering into the realm of extreme and competitive sports, it is always best to come fully prepared for anything and everything. Whether your kind of sport takes you to the air, land or sea, you must have all the necessary gear that you need to ensure you become a success at that sport, or at least considered an expert at it. These days, fishing has become more than just a leisurely weekend activity that you do with your Dad or Grandpa. 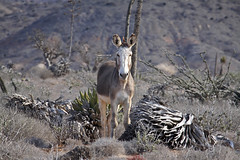 It has decidedly become more intense although it has been done by most people since the dawn of ancient civilization. From being a means to provide sustenance and a source of livelihood, spearfishing has become a world-class competitive sport, an extreme hobby that entails not just excellent hand-eye coordination but above par swimming and diving skills as well. To those who are newbies in it, no pressure. With the sea’s ever-changing environment, smooth one minute then rough the next, it is very important, in fact necessary, for a diver to be fit for spearfishing. Newbies to the sport are recommended to undergo complete medical evaluation as those who have been affected or are currently diagnosed with any lung, respiratory or heart diseases cannot be allowed to engage in it, as well as those with middle ear disease or perforated ear drums. For those who are physically fit, it is recommended that you incorporate road jogging, pool work and circuit training into your daily workouts to meet the high physical demands of the sport, which is being able to stay for at least 6 hours underwater and able to swim in rough seas and strong currents. At the very least, you should be able to swim 200 meters without using fins and need to be able to recover in the fastest possible time between dives. You can visit Spearfishingproducts for handy tips for the best spearfishing experience. Talking of having the best spearfishing experience, no one but no one goes into an extreme sport like this unprepared. Sure, you got your dive suit, your mask, your fins, your weight belts, your spear gun, your snorkel but that’s just a fourth of the entire process. In activities like these, the little things matter a lot and in spearfishing, those would be your floats, spear gun rubbers and flashers. 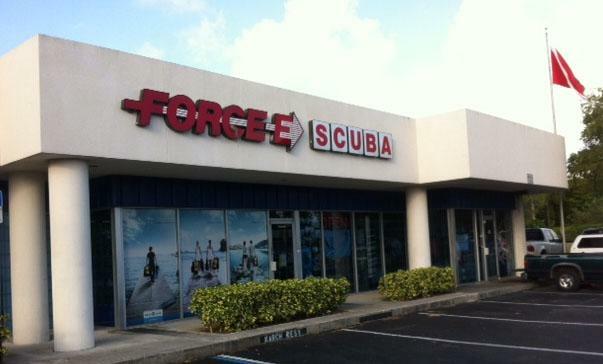 They enable you to spearfish smoothly and safely. Without them, you might as well not engage in spearfishing as you may not last long enough to be an expert at it. So you ask, where can I find spearfishing flashers, floats and spear gun rubbers and how do I choose the best ones? First off, you need to understand why you need these accessories and look them up on sites that offer the most detailed and accurate information on them. With spearfishing’s popularity rising to meteoric heights, it is only natural that everybody has something to say about it, has some tips, advice and suggestions to give like the spearos on sites like Spearfishingproducts.com.au who recommend that you buy floats that keep you from losing your spear gun in the water and other important spearfishing gear. It also helps keep other divers or boats from running you over, as well as pinpointing your exact location because they usually come in highly visible colors so you can be easily seen. Also, you can use these floats to rest and recover in between dives. You can check this site for spearfishing float and learn more about how to buy the best ones. Spearfishing flashers on the other hand, helps attract fish to go near your location. They are stickers usually made of shiny material like reflective, holographic film that you can stick at the end of your spear guns and the tips of your fins to catch a fish’s attention and to enable you in turn to catch them easily as well. Flashers can also come in the form of high visibility winders and cuta flashers that are designed to attract large pelagic fish, snoek flashers on the other hand, attract medium-sized pelagic fish and prism film can also attract pelagic fish and reef fish. And lastly, spear gun rubbers are something you need to have a lot of on hand if you are to have a successful hunting trip. They play an important role in the power, range and accuracy of your shots so you need to make sure you use the right ones for your spear gun model because they are designed with high tensile strength and elasticity that is the source of your power and are made with rubber specifically designed to resist damage from saltwater and UV rays. To have the best you need to get it from the best. So read up on more about spearfishingproducts so you can discover why they are the best source for everything and anything about spearfishing. If you’re going to learn or do spearfishing, you need to go at it full throttle. Visit www.spearfishingproducts.com.au and find all the best gear you need to be spearfishing’s finest. Extreme sports always involve an element of danger to them which is why the first thing anyone involved in these types of sports should consider are safety gear. Not only do they make sure you go through the sport and come out in one piece, they also ensure the safety of other people around you and prevent any accidents from happening. 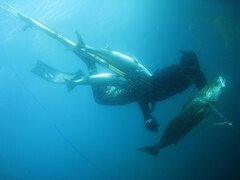 Spearfishing is one example of an extreme competitive sport that more and more people with a yen for adventure and excitement are inclined to join. Not only does it pit you against the deep seas but it also challenges you to catch the most elusive and biggest game fish there is and come out victorious. However, it is one sport where it is not easy to keep safe and where risks are always high in number, which is why it is important for spearos to be equipped with the necessary safety gears to ensure they are able to keep on spearfishing for a long, long time. Check out Spearfishing Products homepage for examples of popular spearfishing safety gear in the market today. Among the popular spearfishing safety gears that you will find in the market today are spearfishing floats. Floats not only help keep you safe when spearfishing, it is also useful in helping subdue and track large prey. They can be made from plastic, foam or inflatable rubber and serve a lot of purposes in spearfishing but the main one aside from safety and subduing large prey, is to keep you from getting lost underwater. Often when you’ve been underwater for a long time, your orientation tends to falter and it can be difficult to make your way back to your boat. Floats drop a line down with a weight at the end so you can attach your catch bag to it so you can conveniently hunt without anything bogging you down. You can take a gander at the various styles and types of floats available when you shop for spearfishing floats online which is always the best source because it offers variety. When choosing the best floats, consider ones that are inflatable because they are light, tough and durable and great for shore diving and travelling. Heavy floats can take up too much room in your boat and be harder to pull through the water. If you are considering entering any spearfishing competitions, you need to buy competition floats which are light and inflatable and able to hold up to two spearguns, food and fish out of the water. You must also remember to choose floats that are good-sized and colorful to effectively warn other divers and spearos of your location so that they can proceed with caution. You should also remember to get your floats from reputable sites like SpearfishingProducts.com to ensure you get ones that are high quality and durable enough to serve your needs. The shape of the floats you get is also an important factor when choosing the best ones. Torpedo-shaped or raft types provide enough room for a diver to lay across it when signaling for help or for him to rest on while he regains his strength to swim to safety or while waiting for a boat to pick him up. Also, floats should have sturdy eyes for attaching lines and other equipment like extra spear guns, bands, wishbones, etc. for great convenience to the diver. You can check out spearfishing float at Spearfishingproducts and be able to choose from among the variety of floats that are available according to the function you need them for. And lastly, another piece of equipment you cannot do without would be your speargun rubbers. These enhance your spear gun’s range, accuracy and power. They can withstand salt water and harmful UV rays that often cause most spearfishing equipment to erode over time. It is important that you be able to choose your speargun rubbers that is appropriate for the spear guns you use to make sure you get the best results every time. You can also choose to make your own speargun rubbers to really be able to manipulate the gun according to your needs. For the best speargun rubbers, check out speargun rubber online where you are not only able to do research on what the best speargun rubbers are, you will also be able to know where you can get them at the most affordable prices. The best spearfishing equipment ensures you have successful fishing trip every time. Visit the Spearfishing Products homepage and get only the best and most affordable equipment to help you catch those elusive game fish anytime.